Agor Enterprises continues to be a leader in customized solutions for the physically challenged. We continue to welcome challenges to provide solutions that enable independence. 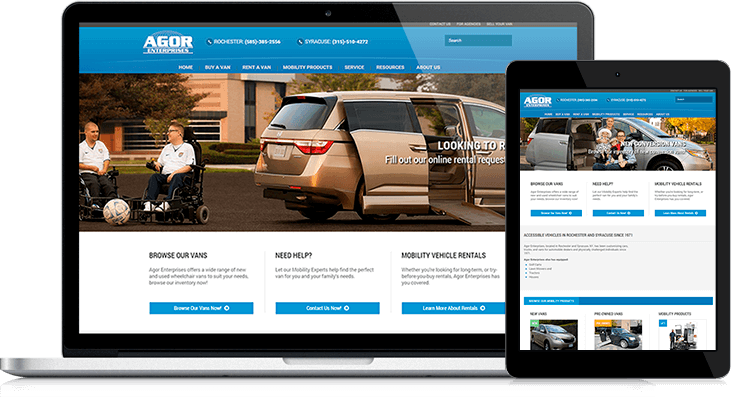 We delivered Agor Enterprises a clean, responsive theme built on HubSpot's COS that mimics an ecommerce store, giving their clients a clean and easy way to shop for their mobility needs.